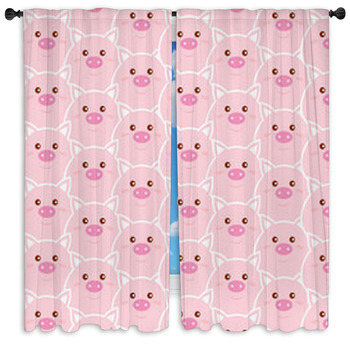 Vision Bedding’s collection of pig window curtains features various types of pigs with different expressions and situated in diverse settings. 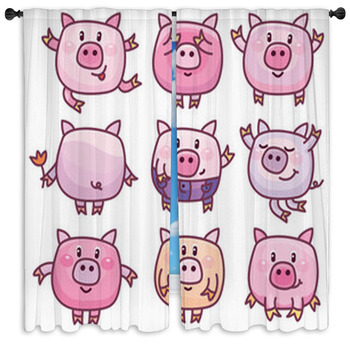 Some are standing in the grass (young pig on green grass bath décor) while others huddled together in a group (pig farm in Highland, Scotland bath décor). 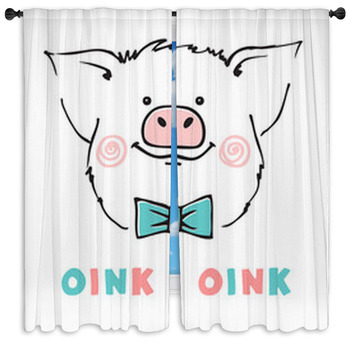 If your window curtains to feature a messy piggy, you may like the close-up of a cute muddy piglet playing outdoors bath décor or the animated version of a muddle piggy displayed in the piggy in a puddle bath décor. 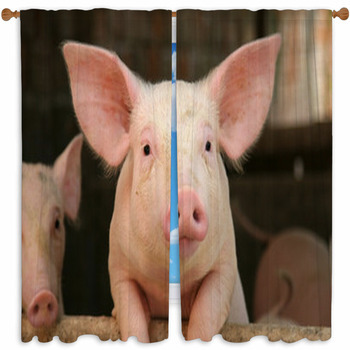 We also have three pigs in our collection that are seen leaning over a fence, but with minor differences. 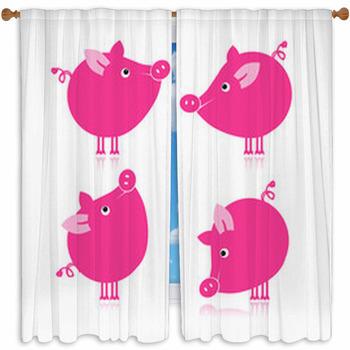 The piglet leaning on the blue fence bath décor has a flower tucked behind its ear, the other version of the bath décor of the same name features the pig leaning on an orange fence, and the pig chews natural food bath décor shows the animal chewing on wheatgrass as it leans on a blue fence. 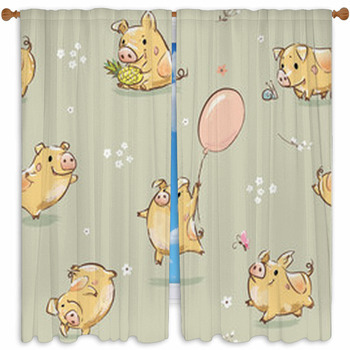 From the when pigs fly bath décor, you have two options, you can either purchase the bath décor showing a single pig flying in the sky with wisps of clouds or the one with several pigs flying close together in a blue sky. 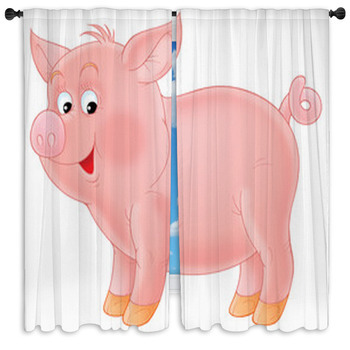 Have a look at the young pig on a green grass bath décor, displaying an image of a pig with a white on green grass. 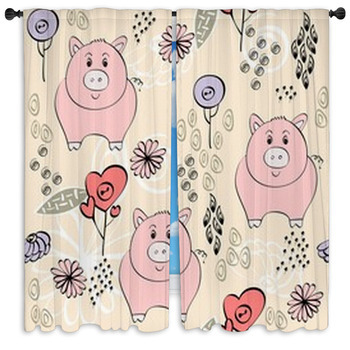 The gold piggy bath décor on a white background is another you may like. 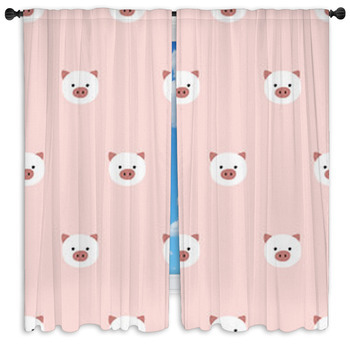 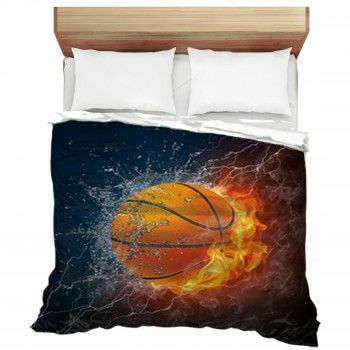 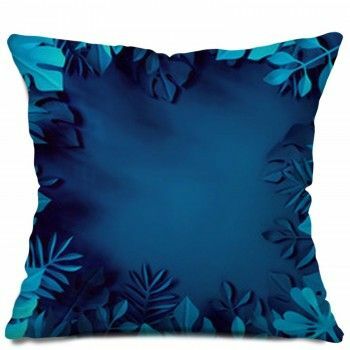 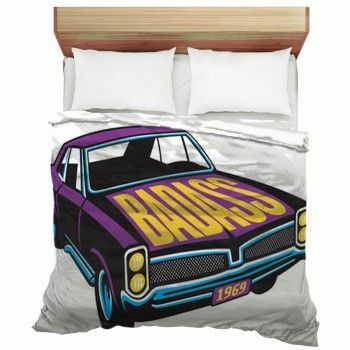 If you want, you can personalize it with an image of your pet pig.